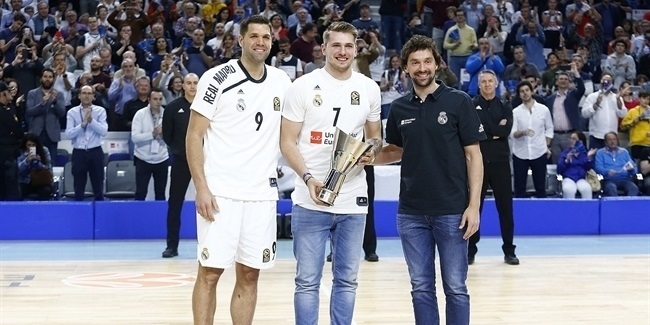 Last season was a tough one for Sergio Llull, who missed all of it before returning for the playoffs, helping his team win the Turkish Airlines EuroLeague title, and then doubling up with the Spanish League crown. Llull, who averaged 10 points and a performance index rating of 6.5 last season, promised throughout his recovery process that he would "come back stronger." In his first EuroLeague game in full shape in more than a year, Llull left no doubt about his playing level: it is the same that saw him earn the EuroLeague MVP honor in 2017. Well known for his impossible shots, which he nicknames "mandarinas", Llull had time to deliver two of those in this game. He beat the shot clock with a nine-meter three-pointer late in the first quarter, and then he amazed the crowd with a one-handed, off-balance bomb from almost midcourt on the third-quarter buzzer. 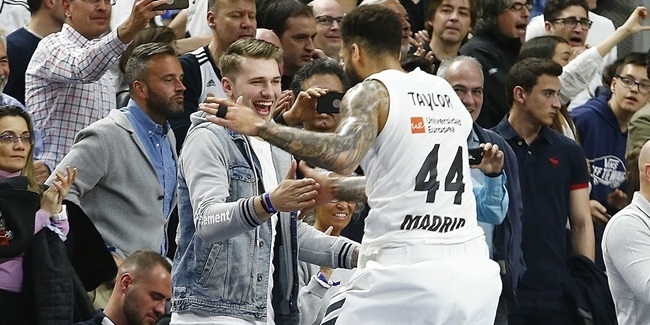 Llull finished the game with 13 points, 8 assists and team-high PIR of 19 – his highest in a EuroLeague game since the injury – in just 22 minutes. In so doing, Llull began to fulfill his promise that he may be better than before. "Somebody called me 'Mr. Mandarinas'," he said after the game. "When the clock is going down, you have to look for the best chance to score. I scored twice like that tonight and I am happy." 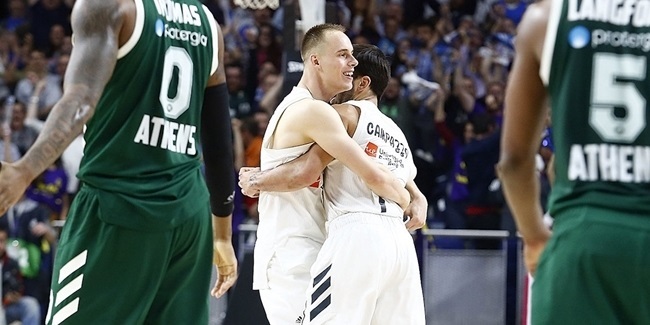 For those around him, like team captain Felipe Reyes, making impossible shots is just Llull being Llull. "I am used to that already," Reyes said. "If you asked me in the beginning, many years ago, I would have said I was very surprised. But now, he has done it so many times that nobody is surprised."